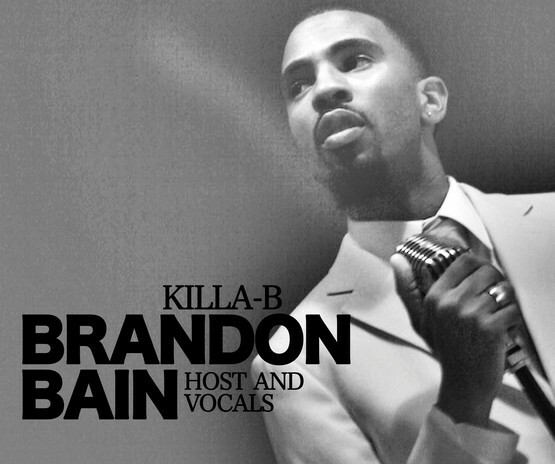 Brandon ‘Killa-B’ Bain (host) is renowned for working the crowd and making everyone feel welcome to the opportunity to be a rock star. Brandon hails from Brooklyn and is a sensational singer with a suave style—he opens and closes the shows in song and, upon request, can lead the band through entire sets. Brandon manages the song sign-up process and prepares each singer with his or her chosen lyric sheet. When singers appear bashful, Brandon is quick to suggest drinking “liquid courage”! 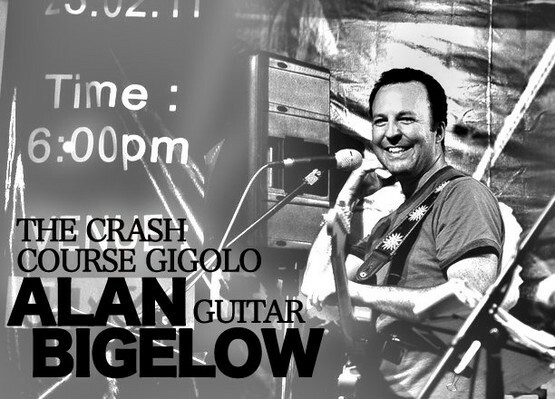 Dr. Alan ‘The Crash Course Gigolo’ Bigelow (guitar) specializes in preparing new song selections for the band. In addition to promoting solar cooking in his role at Solar Cookers International, Alan has staked out several musical roles in the NYC music scene, including co-founding the solar-powered, eco-rock group Solar Punch. Alan grew up overseas and loves to eat Thai food that is hot enough to make him cry! Joe ‘Mr. 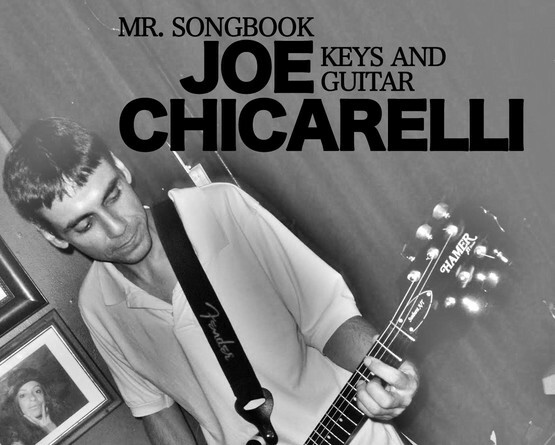 Songbook’ Chicarelli (guitar & keyboard) amazes audiences with his uncanny ability to play guitar and keyboards with pinpoint accuracy. Joe C’s passion for sonic detail has driven Crash Course Karaoke to an ultra-high level in emulating songs, particularly through intricate string and horn lines. Joe C played music with Alan while attending the International School of Bangkok. Joe C is also an avid soccer fan and has a vast collection of Chinese kung-fu action films! 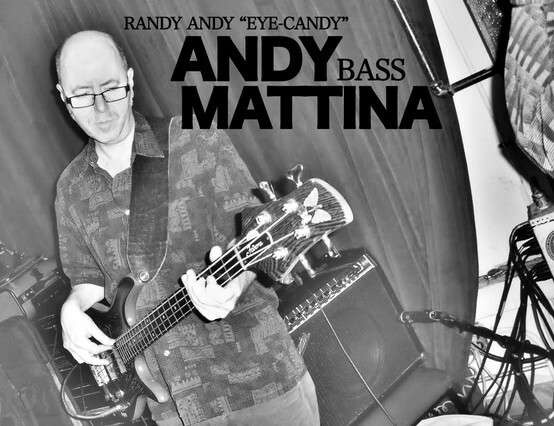 Andy ‘Eye Candy’ Mattina (bass) is a widely recorded NYC-area bass player. His experience with other bands includes playing with Solar Punch, Liza & the Wonderwheels, Kirsten Williams, Paula Carino, and Box of Crayons. His prolific musical activities have brought him a wealth of touring and gigging experience in Europe, the USA, and India. He is the eye candy of the band, and he likes long walks, whiskey, and pointing out strange-looking bugs! Joe ‘Da Man’ Mitch (drums) is Crash Course Karaoke’s youngest musician. Joe M has music wired into his DNA—he can play anything he has ever heard. 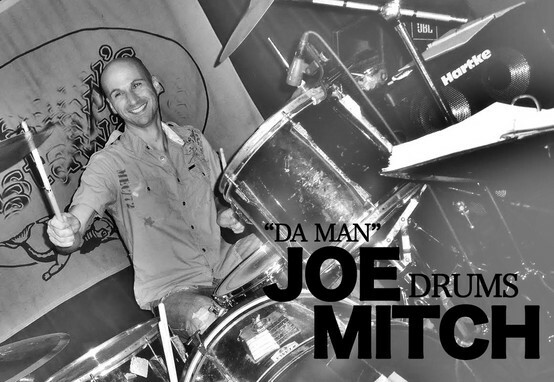 In addition, Joe M has received a crash course in environmentalism while drumming and touring India with Solar Punch. He also plays drums with NYC’s The Blackfires. Joe M loves going to concerts and watching old Three Stooges movies, and has a wicked sweet tooth—hide the candy!